To research, preserve and promote interest in the history of Johns Creek and collaborate with the city and other related organizations in these endeavors. Want to hear about future programs, tours, and history discovered. Keep up to date with issues that affect the preservation and promotion of local history. 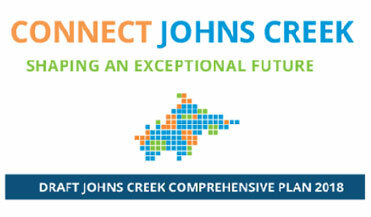 Read the latest Draft Johns Creek Comprehensive Plan 2018 HERE. 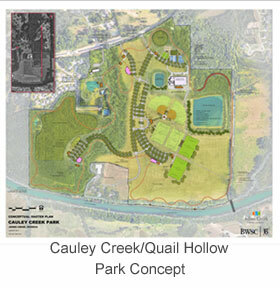 Or go to www.johnscreekga.gov and click on the Comprehensive Plan link. This new draft addresses residents' complaints that the previous draft was hard to read and needed better organization. This draft is much improved and is now nicely organized in short, readable sections. All are encouraged to read the plan and give input, either online or at upcoming community feedback meetings focused in each of the "Community Areas" of the City. Historically significant structures are identified on pages 26-27 in the "City Profile" with a recommendation that the City enact an Historic Preservation Ordinance. Sections covering each of the 8 "Community Areas" begin with a short history of that area of the city. Some, but not all, include a vision to preserve historic properties under an Historic Preservation Ordinance. After just a brief read, it appears there are several areas where the Historic Society should be involved before the plan is finalized. To correct inaccuracies in history descriptions of the 8 "Community Areas". To review the historic properties identified and propose others if found. It may be better to identify specific historic properties outside the Comprehensive Plan - in the Historic Preservation Ordinance, a document that can be more easily changed as historical research of the area continues and additional properties identified. To request all of the 8 "Community Areas" include a vision to preserve historic properties within its area. Due to the Cauley Creek/Quail Hollow park location in an historic area of Johns Creek, several members of our Historical Society attended the January 30th community meeting. We explained the need to keep active areas away from the adjacent Johns Rogers house (located next to the upper right corner of the park plan) to protect its historic integrity. In the current concept, a dog park and lighted sports courts are planned for that area closest to the Johns Rogers house. With 70% passive or undeveloped land, this park also presents a unique opportunity to incorporate historical components in its design. Other audience concerns were about traffic, lighting, hazards of existing ponds, third-party run sports teams, and paths too close to an adjacent neighborhood. Community input is still being collected. Submit your comments or concerns before the plan is finalized.